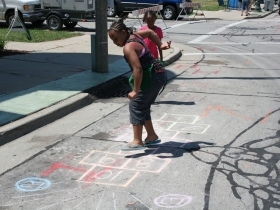 A photo gallery of the last major street festival of the summer. 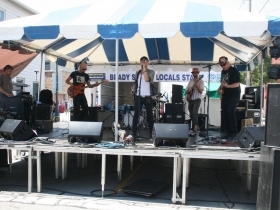 Brady Street came to life with bands, beer, and BMX bikes on July 28th. 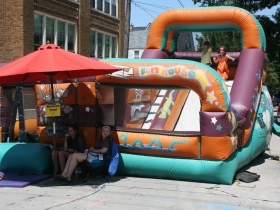 The annual Brady Street Festival ran from 11 a.m. to 11 p.m. and featured a number of entertainment options from camel rides and wrestling hosted by Casablanca, to BMX bike shows by Division BMX, with vendors galore and musical entertainment. 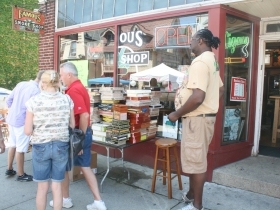 Hosted by the Brady St. Business Improvement District, the festival also included a free cheese tasting from Glorioso’s and an always entertaining drag show (unfortunately, we didn’t get any photos). The only excuse for not being there was biking at the Riverwest 24. 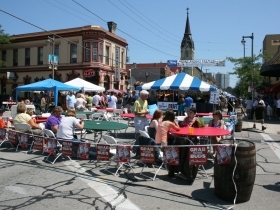 In your email you described the Brady Street Festival as the last of the summer. Hmmm, I happily invite you to visit the Bay View Bash on Sept. 15, 2012. 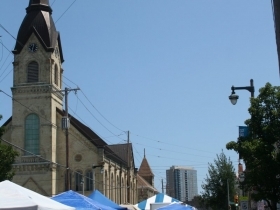 I don’t know – but there are likely other festivals, and even other “major” festivals in Milwaukee Streets. But the Bash surely is major by any definition, just before the season “falls” off. (And all volunteer run). Invitation gladly accepted. Oversight on our part.